obligations under ePrivacy Directive 2018.
security and privacy of your information. You should not use this website if you are not happy with this statement. By visiting this website, you are accepting the terms of this statement. 2. What information does this site collect? or revealing any personal information about yourself. and is retained by The Magic Man in a secure manner. usage of the website and to improve the usefulness of the Website. unless you indicate you do not wish to receive such communications. 4. Disclosure of Information to Third Parties. regular reviews of these responsibilities. alteration of Personal Data you volunteer. be intercepted or read by others. 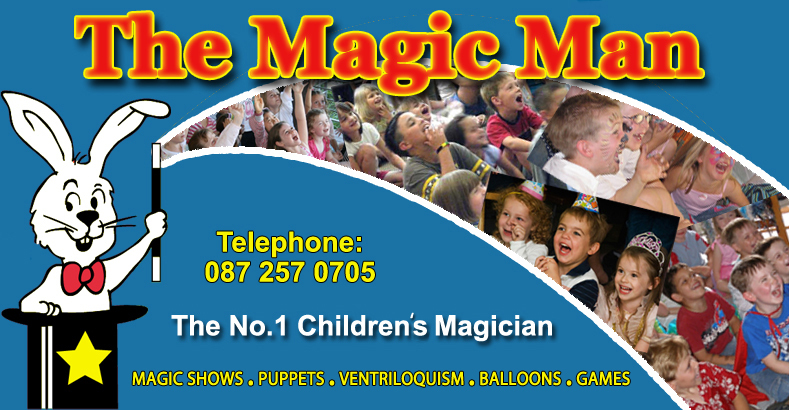 contact us by emailing us at info@themagicman.ie. information about you on our files. for supplying you with copies of information that we hold. 7. Changes to the website statement. This site sets performance cookies. error messages from web pages. features and services the website has to offer.